I can't believe we are in the downward slope of this pregnancy! 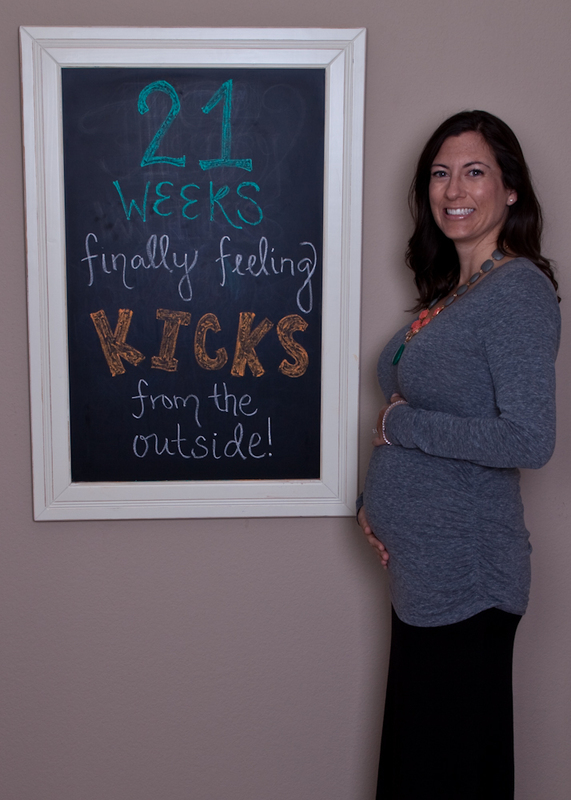 19 weeks and counting! I feel so fantastic- just a bit of nausea when I need to eat and enough of a belly now to make it known that I'm clearly pregnant! Little one finally decided to make his or her presence known on the outside this week! Max had been patiently waiting to feel baby, holding his hands on my bump every day trying to feel something. So when did baby do its first real big kick? When daddy was away on business! Being crazy pregnant, I started crying that Max was missing it. He assured me that it will happen again soon (after all, baby is growing like crazy in there which should make the movements easier and easier to feel). I'm sorry Max wasn't there for the first time...thankfully there will be more! You looks fantastic! So excited you can feel your little one!